The United Way of Ventura County, American Red Cross of Ventura County and the Ventura County Sheriff's Office of Emergency Services have teamed up to create the Thomas Fire Fund. All proceeds will go directly to support the hundreds of residents displaced by the fires. Donations can be made via text message, on United Way of Ventura County's website or over the phone at 805-485-6288. Checks with "Thomas Fire Fund" in the memo line can be mailed to 702 County Square Drive, Suite 100 Ventura, CA 93003. 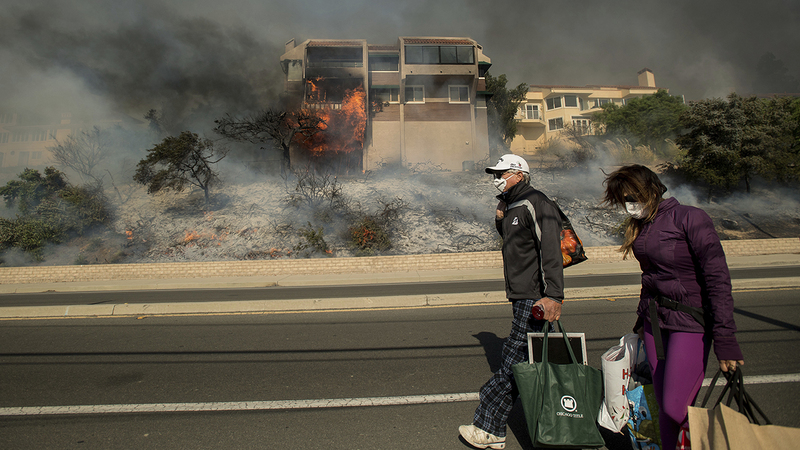 The Ventura County Community Foundation supports organizations providing shelter and long-term housing, legal services, education, healthcare and other immediate and long-term needs of those affected by the Thomas Fire. To support immediate needs, contributions should be directed to the "Sudden and Urgent Needs" Fund. To support mid-term to long-term needs, contributions should be directed to the "Disaster Relief" Fund. Volunteer work ranges from phone calls, data entry and client registration, to shelter support and supply replenishment. With seven shelters open, the following shelters, in order of priority, need the most help: Oxnard College, UC Santa Barbara, and Ventura County Fairgrounds. The Santa Barbara Polo & Racquet Club is providing shelter to all horses needing evacuation from the Thomas Fire in Ventura County. Volunteers are needed to help feed, water and muck out the stables of the evacuated horses. The club is also requesting feed and barn supply donations. Those able to help can contact the Polo Club's Volunteer Coordinator Shannon McGraw at (805) 455-2400. As HSVC works to care for the more than 300 animals that it has taken in since the fires began, the organization says it is in need of donations. Alfalfa hay, Timothy hay, cat chow, rabbit food, flashlights, headlamps, lanterns, water troughs, bottled water, fruit, snacks, hoses and power generators can be dropped off at the shelter at 402 Bryant St. in Ojai. The organization has set up an Amazon registry wishlist with items needed to care for the diverse group of animals currently in its care. LACACF is accepting donations to supplement its disaster relief efforts through its Noah's Legacy Fund, which provides supplies, training and equipment to first responders charged with rescuing animals from areas stricken by natural disasters. Donations can be mailed to P.O. Box 100515, Pasadena, CA 91189-0515 or submitted on the organization's website.